This is the fifth chapter of The Ultimate Guide to Carpets. Carpets are not just for floors! 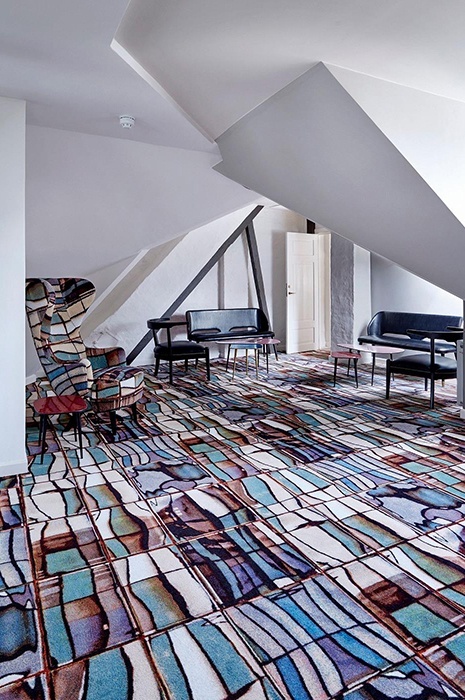 In the lavish interiors of Bronnums Hus Office Club in Copenhagen, Denmark, the custom design carpet is not just something that decorates the floors. One room features a vibrant Tom Dixon designed carpet on both the floor and as upholstery on a wing chair. 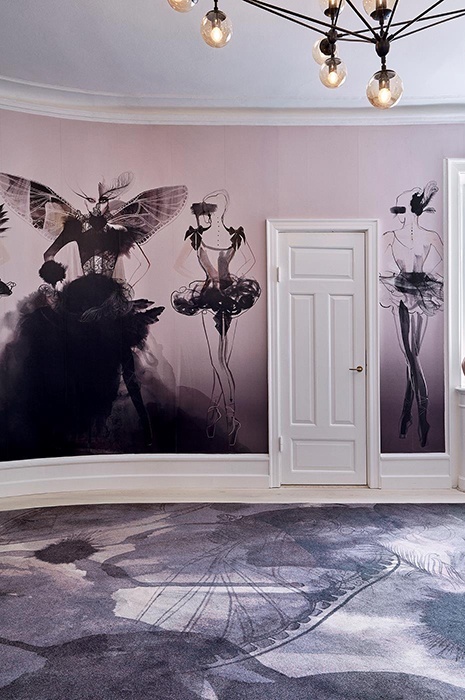 In other rooms, a wallpaper is complimented by a matching carpet for a coherent interior and design story. Projects still in the development phase have even seen the use of carpet as a wall feature move from complimenting wallpaper to a tapestry style, literally hanging sections of carpets on the walls as featured works of art. 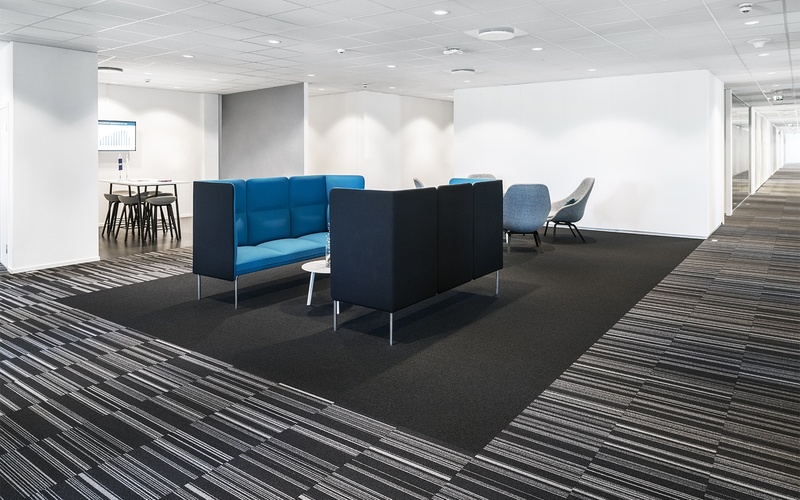 Carpet tiles have been used to great effect in the offices of Oceaneering in Norway, Chantier Altage in Switzerland as well as Alm. Brand in Denmark to define areas with different purposes and to create intimacy within large spaces. 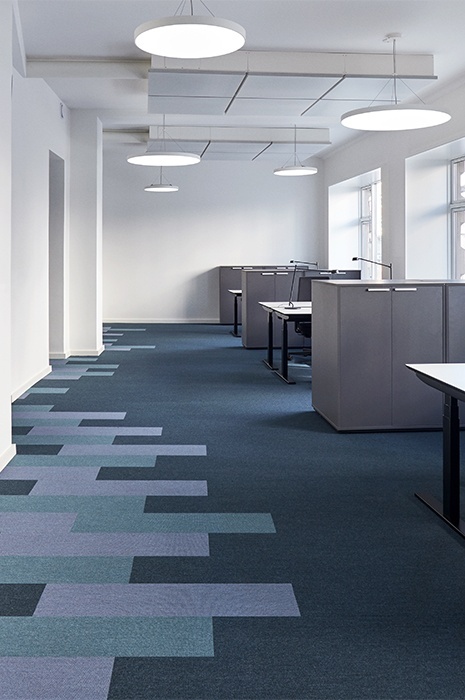 A great way to use carpet customization is by making a design which references the client’s brand or products. 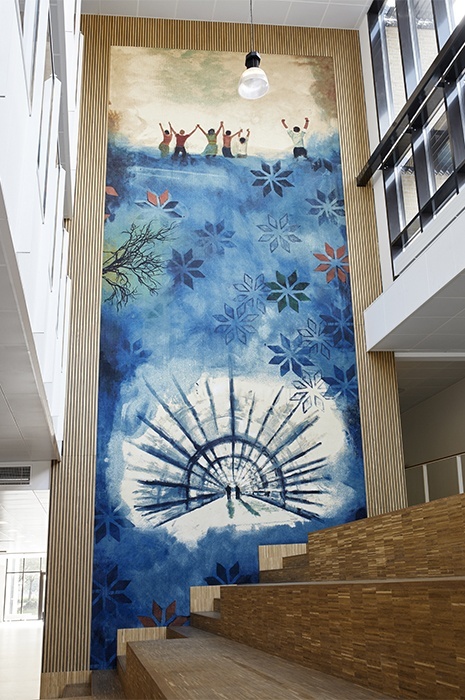 A unique and very creative example of this is in the offices of French paint manufacturer Akzo Nobel. 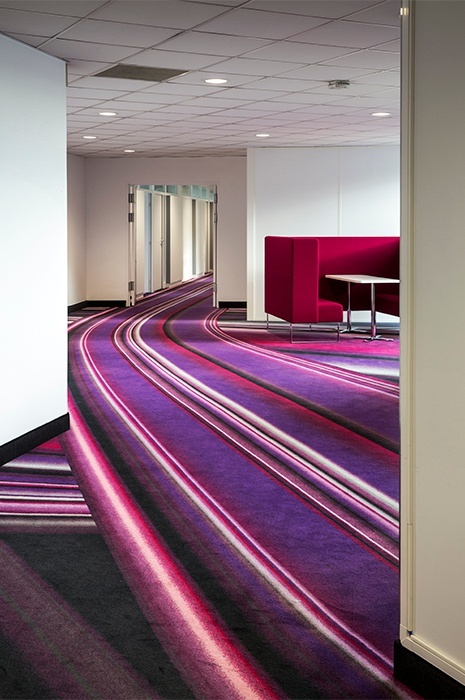 Here the designers have used custom carpet in vibrant stripes, reflecting painted brushstrokes to dazzling effect. 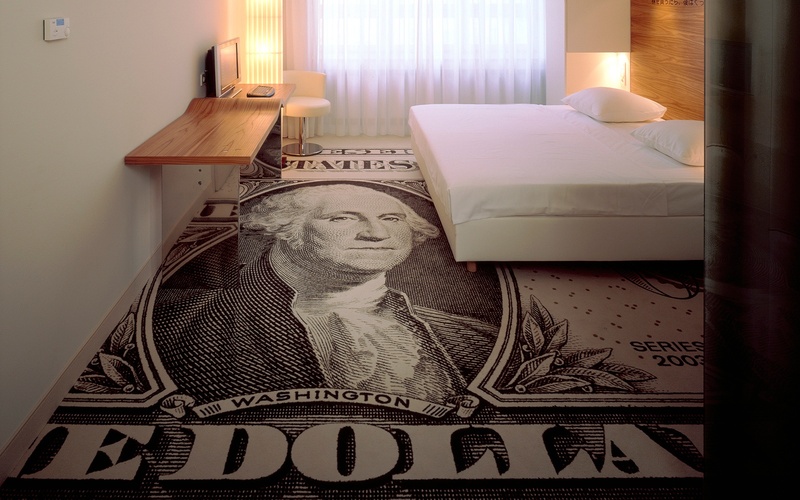 Another great idea is to have dollar notes on the carpet in a hotel with a stock broker theme like Berlin Hotel Wall Street. For the ELLE Style Awards in Copenhagen, the event designers replaced the traditional red carpet with a custom carpet designed by Helene Blanche and created from her hand drawings of Danish meadow flowers. 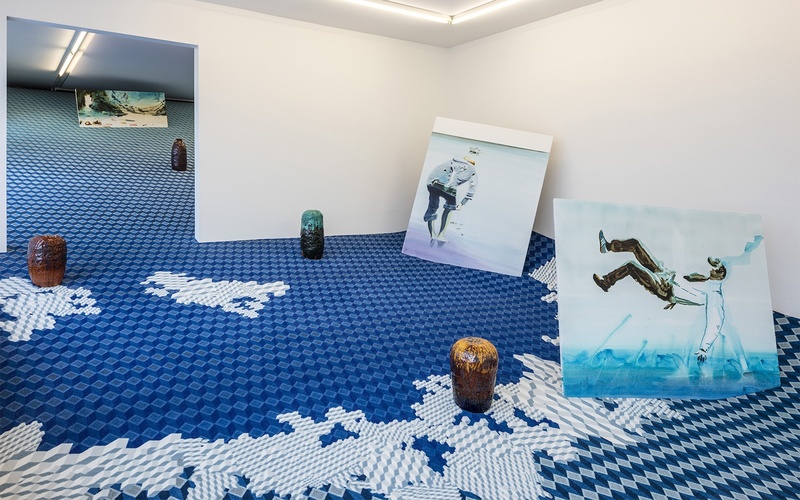 Many multimedia artists are exploring the possibilities of custom design carpet for their artistic expression, including Danish artist John Korner whose work ‘Tsunami’ features a “wave” of blue custom carpet. He has also since incorporated carpets in his ‘Blue Bedroom’ Project. As you can see, the design possibilities of custom design carpet and carpet tiles are as exciting as they are endless. 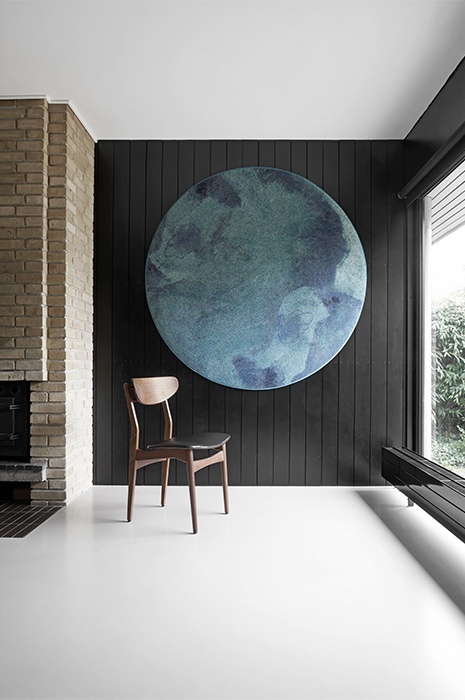 Now you are feeling inspired and brimming with ideas, we turn to more practical issues you need to know about when specifying carpet in our next blogpost. What are Carpet Tiles and When Should You use Them?